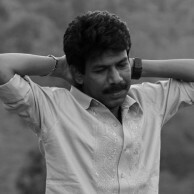 Bala’s next film, Paradesi was expected to release on December 21st. But due to reasons unknown the film didn’t. It has now come to our notice that the release date of this Atharva starrer has been pushed to the end of February. It’s also rumoured that a leading production house is on talks with Bala to get hold of the flick. Apart from that, the film stars Vedhika and Dhansika alongside Atharva. Set during pre-independence time, the film supposedly revolves around the lives of tea estate labourers. GV Prakash Kumar’s music for the film has already earned good response.